The Solar Box works very much like the Eco and Eco Top versions. There is normally one panel that goes on the roof. (One panel suitable for up to 300 Litre cylinder, 2 panels required if the cylinder capacity is over 300 Litres but still a maximum size of 500 Litres). There is a small Solar Box (as per picture above) which can be housed in a variety of locations, but most commonly in the attic or beside the cylinder in the hot-press. The system does consume a small amount of electricity. It should be noted that the Thermodynamic Solar Box unit can consume a small amount more electricity than the Eco or Eco Top unit. 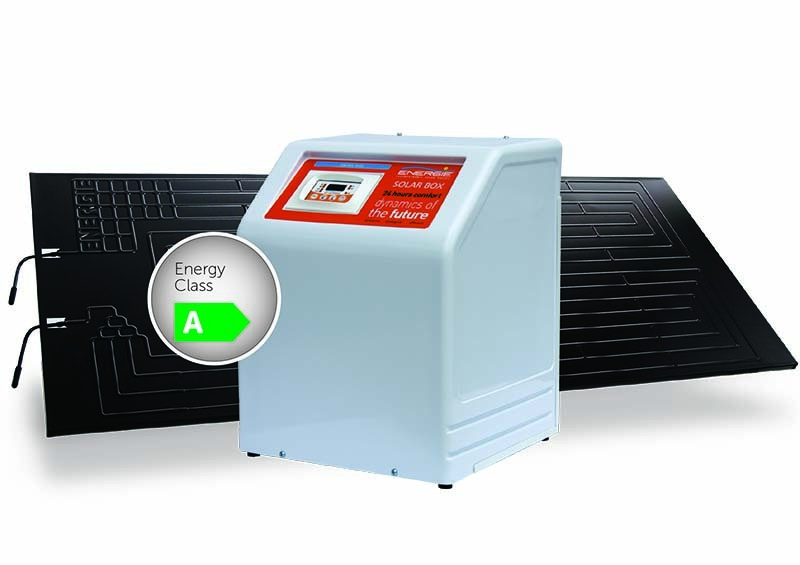 The manner of its design means that a circulation pump is used to transfer the heat from the Solar Box to the water cylinder being used, thus increasing running costs of this thermodynamic solar panel slightly. In order to fit the Solar Box unit in your hot-press, you should have a minimum of 420mm cubic space available in the press. If you do not have this space available, the Solar Box can be housed in the attic instead.